The Cafe by HIC operates within Singapore’s The Centrepoint shopping mall, at 176 Orchard Road. superfood bowl bar, a cozy oasis in the city for the complete health food cafe experience. The main items available are made-to-order smoothies, superfood bowls, premium cold pressed juices, nut milks, superfoods and snacks, plus you can get HIC rebates for returned bottles. 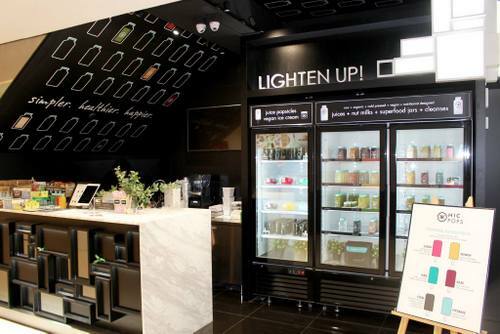 In addition, The Cafe by HIC retails the company’s light frozen treats range consisting of HICPOPS – cold-pressed juice popsicles – as well as HIC Freeze, HIC’s take on vegan coconut ice cream. The official Facebook brand page for The Cafe by HIC is available at www.facebook.com/TheCafebyHIC. Following the Facebook page, you’ll learn more about the available menu items, the cafe’s promotional offers, and much more.